The number of homes for sale is growing in some markets and that may be the main factor behind the latest rise in mortgage applications, economists say. 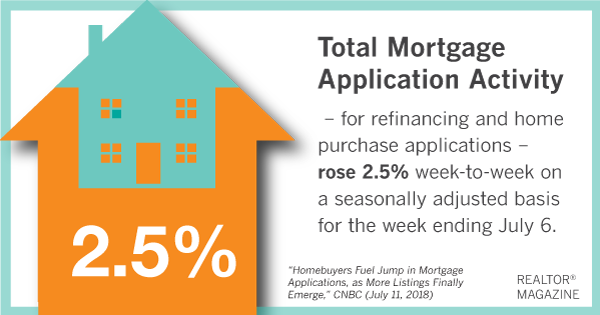 Mortgage applications for both home purchases and refinancings increased 2.5 percent last week on a seasonally adjusted basis, the Mortgage Bankers Association reported Wednesday. The rise was fueled entirely by an uptick in home purchase applications.